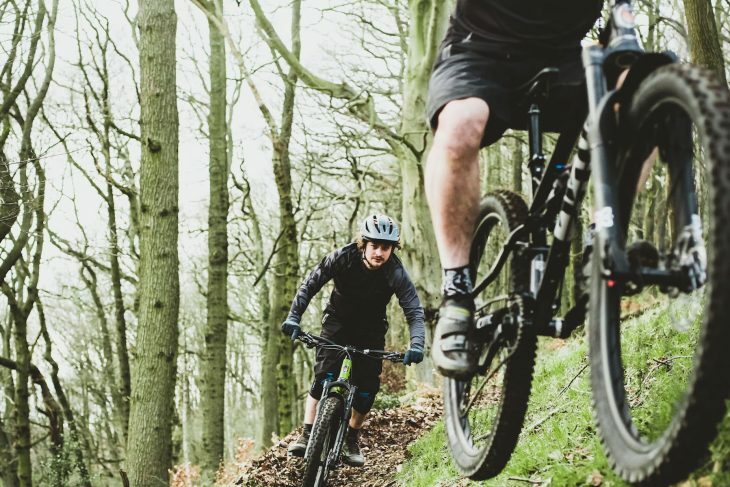 The Flare is Cotic’s 27.5in full suspension trail bike, and is now the fourth and final full suspension model from the Peak District-based company to receive the Longshot treatment. 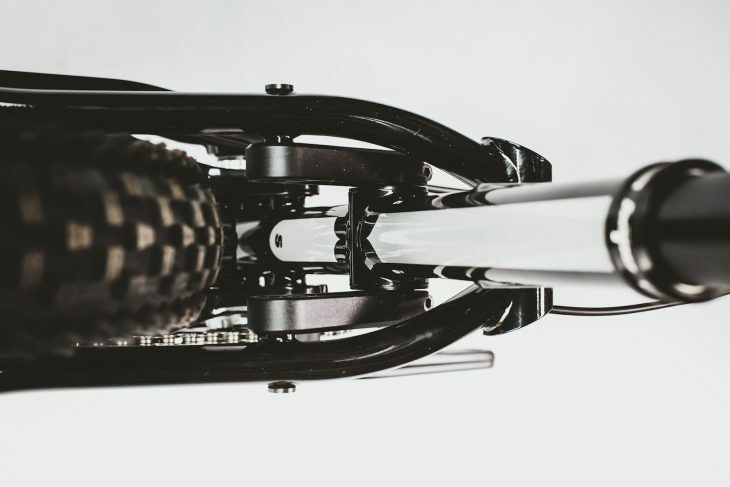 First debuted on the Rocket enduro bike, then on the FlareMAX and RocketMAX, the Longshot geometry ethos sees the Flare growing significantly longer in its frame reach. The head tube is now slacker, and the geometry has been specifically developed around a compact 30-45mm stem length. 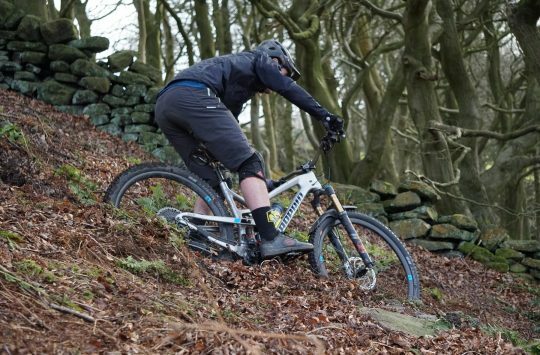 There are a host of subtle improvements and changes on the new Cotic Flare, so let’s take a closer look at what’s changed. Cotic has a new Flare trail bike for 2019. And it’s quite long. How Much Travel’s It Got? The Flare is equipped with 125mm of rear wheel travel, and is designed to be run with a 140mm travel fork. However, you can run down to a 130mm travel fork if you’re looking for a slightly lower ride height with a sharper feel on the trail. 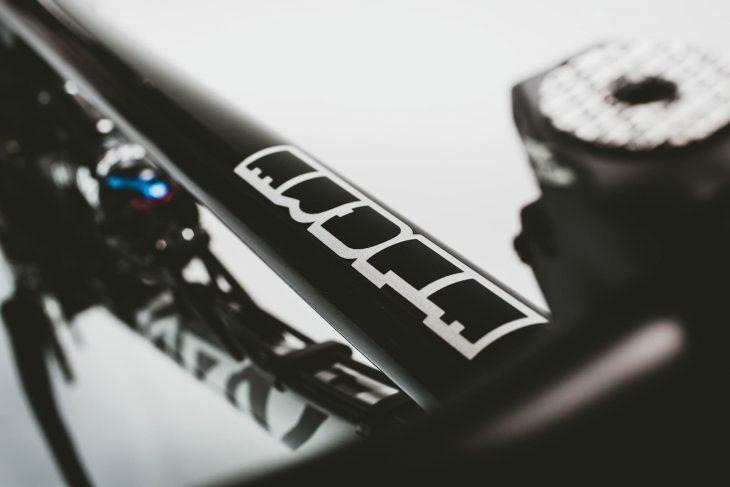 Like the rest of Cotic’s full suspension line, the Flare features the droplink suspension design. This is based around a single-pivot platform, with the pivoting chainstays driving the rear shock via a seat tube-mounted rocker link. 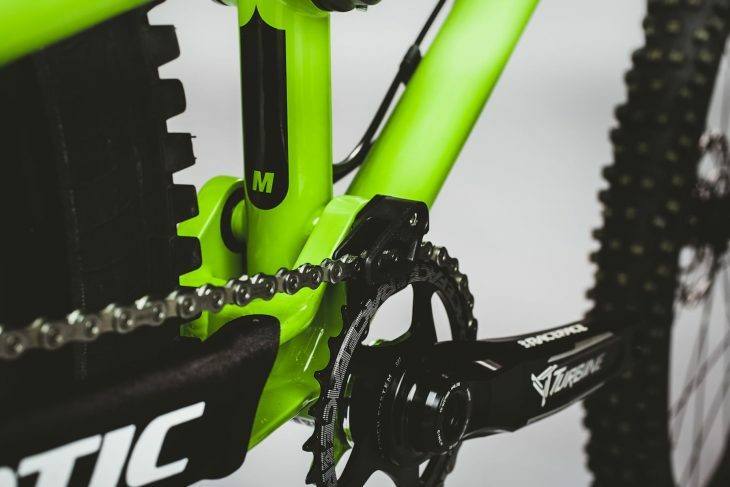 Cotic says the Flare features a ‘strong progression rate’, and it’s built to work with a 190x45mm metric rear shock. 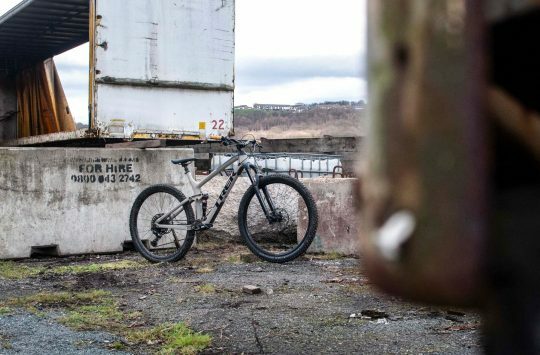 The Flare features 125mm of rear wheel travel, and a 130-140mm travel fork. 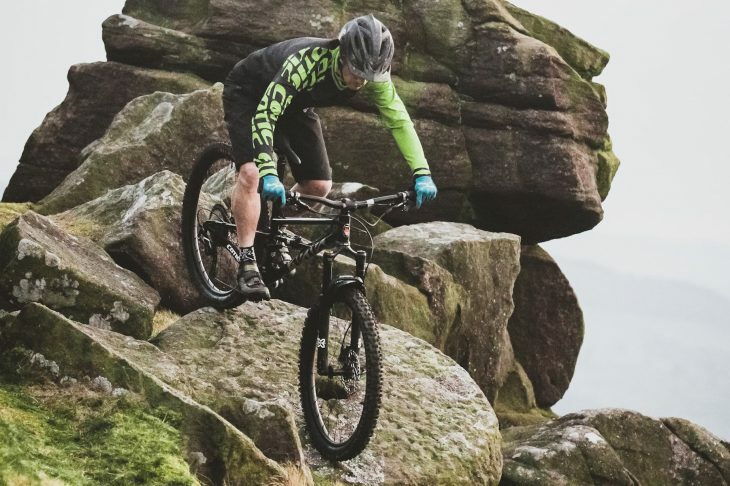 Cotic calls the Flare a “technical trail tearaway”, which “splices the DNA of the Rocket enduro bike with the swift and subtle feel of our legendary Soul hardtail”. It features 27.5in wheels, and now has clearance to run rubber as wide as 2.6in on the rear. It’s lighter and more compact than the 29er FlareMAX and RocketMAX, while being more agile than the Rocket enduro bike. In short, it’s an all-round trail bike. Loads of mud clearance in the rear, and room to run 2.6in wide tyres. The new Longshot geometry sees the Flare getting notably longer and slacker over the previous model. The head angle now sits at 66°, and the seat angle is 74.5°. Reach measurements are 444mm on the Small, 467mm on the Medium, and 490mm on the Large. As mentioned above, the Longshot geometry is designed specifically around a short 30-45mm long stem. So while the reach measurements are very long, the short stem ensures the bars don’t stretch out too far away from the rider. 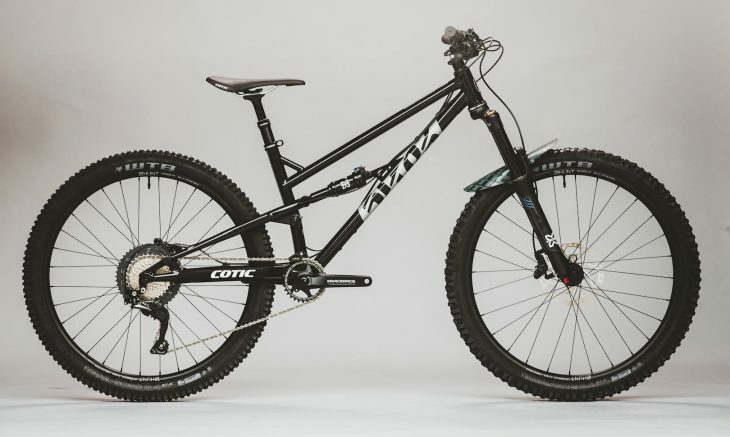 Unlike its 29er models, Cotic won’t be producing the Flare in an XL size. If you’re over 188cm (6’2″) tall, you’ll want to check out the FlareMAX instead. 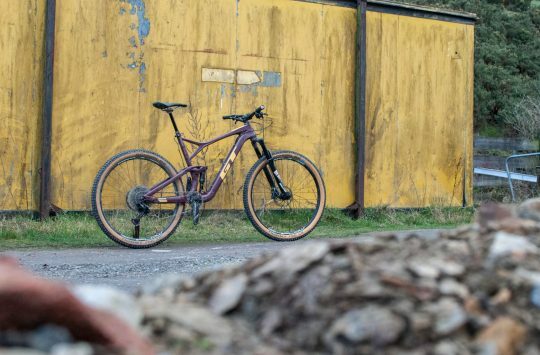 Just like the rest of the droplink platform, the Flare features a burly Reynolds 853 steel mainframe, which is manufactured in the UK by Five Land Bikes (just like the latest RocketMAX). The complete frames are also assembled and finished here too. To maximise stiffness with the long front end, Cotic has spec’d its classic Ovalform top tube, DZB downtube, and a huge 35mm diameter seat tube. The back end of the bike is of Taiwanese origin, which includes slender, curved steel seatstays, and a welded 6066-T6 heat treated aluminium swingarm. 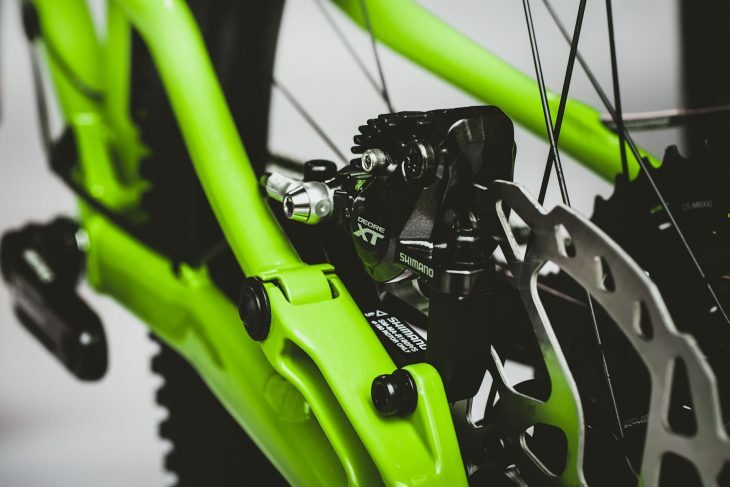 Cotic integrates a OneUp chainguide into the alloy swingarm. Both the main pivot and seat tube pivot feature 15mm diameter axles. You’ll also find a threaded BB shell, a straight 44mm head tube, and 148x12mm Syntace thru-axle dropouts. In preparation for the rowdy riding this bike is capable of, there’s an integrated OneUp upper chain guide and ISCG 05 tabs are also present for those who’d like to add a full-coverage chainguide. Cables are mostly externally routed, save for an internal section through the driveside seatstay for the derailleur cable, and the stealth dropper post. A small, but nice detail, is the rear brake mount bolt, which doubles as the non-drive side chainstay pivot. The rear brake mount bolt doubles up with the pivot. 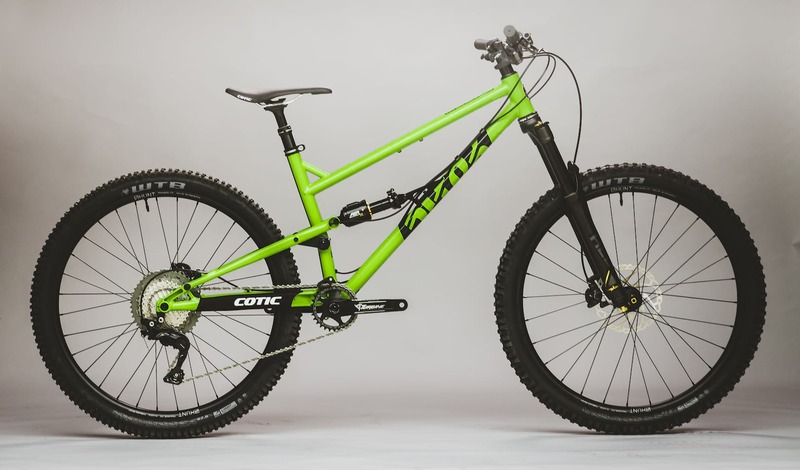 Cotic will be offering the Flare as a frame-only package with an X-Fusion O2 RCX air shock for £1,749 or with a Cane Creek DBair IL shock for £1,999. There are five complete bike options, which kick off at £2,999 for the entry-level Silver build but if you want a little more flare for your Flare, then there is the Platinum Eagle eeWings build. This flagship build includes Cane Creek’s exotic titanium eeWings crankset, a Helm fork, and a SRAM X01 Eagle 1×12 drivetrain, all for a cool £6,099. As always, Cotic provides a long list of custom upgrade options. There’s tubeless wheels from Hunt, and numerous pimpin’ anodised bits from Hope. The Flare is designed to be a lively and agile trail bike. So what do folks think of the new Cotic Flare? Tell us your thoughts in the comments section below! If you’re interested in the new Flare, Cotic already has stock available of the frameset – More info here. For those who’d love to swing a leg over the new Longshot trail bike, Flares are already populating the Cotic demo fleet as we type. 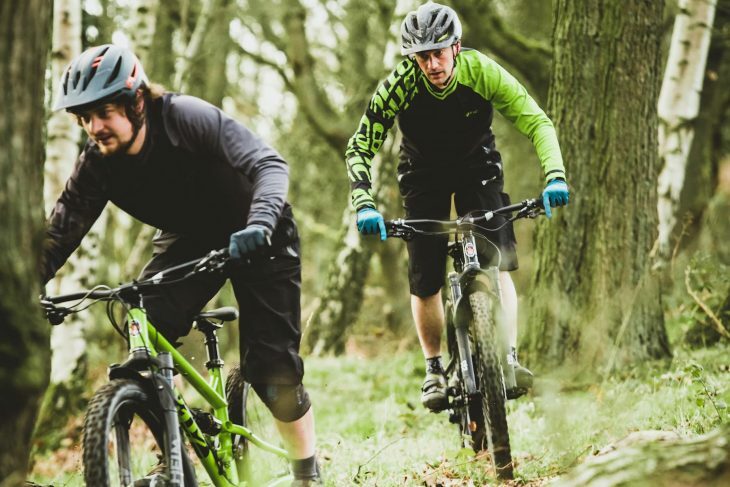 Head to Cotic’s demo page to find out where and when your nearest demo day is. 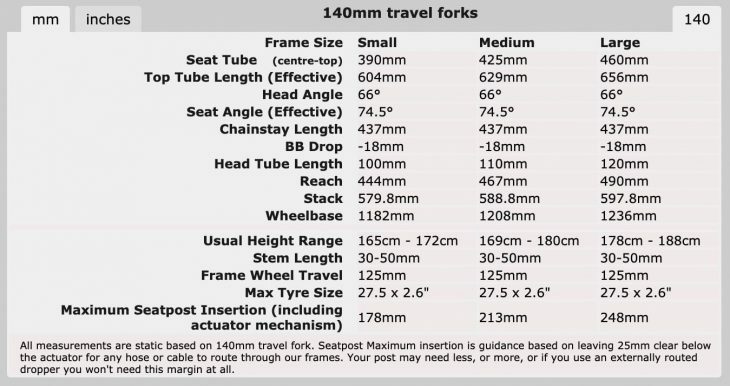 Cotic is spec’ing the Flare with a 140mm travel fork, though you can run a 130mm fork if you prefer. You’ll be able to get the new Flare in Small, Medium and Large sizes. The base-level ‘Silver’ build comes with an X-Fusion suspension package, WTB tyres and Shimano 1×11 shifting for £2,999. How can I justify having this /as well as/ my wonderful Rocket??? @d4ddydo666 ‘Because you’re worth it’, ‘You only live once’, ‘It will make me happy’? That’s the spiritual successor to the wonderful Orange ST4 (still the best bike I’ve owned). Yes please. Can you do it in purple? @keithr the bike this page is about… it’s been rumoured since last year and dates people have had mentioned to them have come and gone. Hey ho. First world problem, and I’m happy with what I have now.